This house, in the residential neighbourhood of Orchards in Johannesburg, was the home of Mohandas Gandhi from 1908 to 1909. Within these walls, the future Mahatma created and developed his philosophy of passive resistance: Satyagraha in sanskrit. 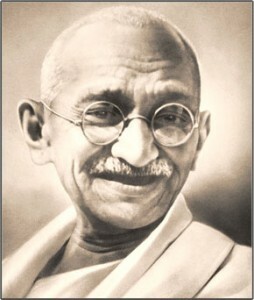 A pacifist method of protest that he employed in India to lead the country to independence. The house was built in 1907 by Gandhi’s close friend, the German architect Hermann Kallenbach, and today it begins a new life. Renovations overseen by a team comprising a historian, a curator, an architect, two interior designers, and their respective teams, have restored the original spirit of the house, bringing back an important page in the history of both South Africa and Mahatma Gandhi. The Satyagraha House is now a registered part of the country’s historical heritage and presents an innovative accommodation concept linking guesthouse to museum. In all, seven rooms are spread out between the original house, called the Kraal in reference to its architecture resembling a traditional African farm, the cottage added a few years later, and the modern wing built in 2010.